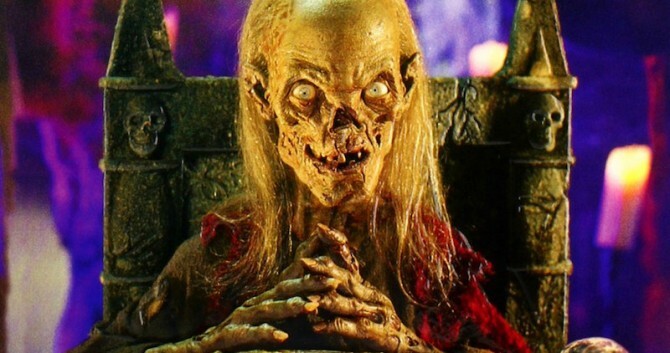 Just when you thought M. Night Shyamalan’s triumphant comeback would expand into the realm of television, Deadline relays a fairly disheartening piece of news: TNT’s long-gestating Tales From the Crypt revival has been sentenced to an early grave. Hatched as a small-screen reboot that would have anchored a “horror block” on the network, legal complications and an overhaul lack of tangible progress have now forced TNT to nix Tales From the Crypt from the docket – for now, at least. In a candid chat with Deadline (with a tip of the hat to Birth.Movies.Death), TNT president Kevin Reilly conceded that the network is now beginning to shift its focus over to a sci-fi anthology block, one in which Ridley Scott (Alien: Covenant) will serve as executive producer. Because even at 79 years young, the director’s work rate continues to defy belief. That one got really caught up in a complete legal mess unfortunately with a very complicated underlying rights structure. We lost so much time, so I said, ‘Look, I’m not waiting around four years for this thing’. Maybe that will come back around but in the meantime, Ridley Scott had come up, who has so much creative enthusiasm. Based on the cult EC Comics series, Tales From the Crypt would’ve been hosted by “a newly reinvented Crypt Keeper” across its ten-part season. Plans were in place for Shyamalan to serve as executive producer, which is particularly disappointing when you consider that the filmmaker is in the midst of a scintillating comeback, one that’ll continue with the launch of Glass in early 2019. It’s official: Tales From the Crypt has been sentenced to the backburner over at TNT. It’s certainly disappointing, and you can mourn over what could have been via the comments section below.